If you are looking to learn about wine and meet new people at the same time, keep reading to find out how. 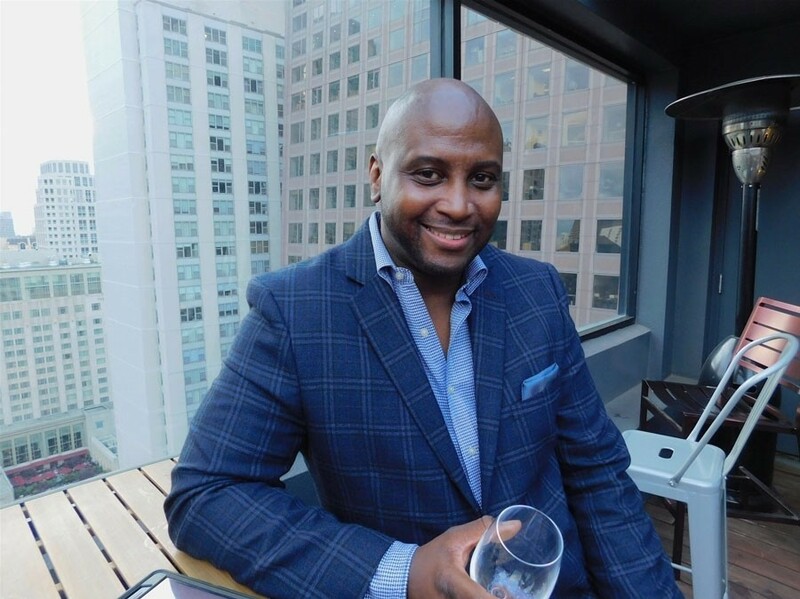 Curating gourmet food and wine experiences in luxury and style is Glenn Murray, founder of Wine Crawl based in Chicago. Launched in 2013, Wine Crawl is a private wine tour that hosts up to 60 people at popular wine bars and wineries as well as restaurants in select cities. “I wanted to do something that was a little more upscale than a beer crawl. This is a more upscale version of it. We use luxury limos, we use luxury coaches, we do food and wine pairings, we go to four or five-star restaurants most of the time, so it is a really sophisticated way to experience wine and food for that matter,” says Murray who is expanding the concept to Atlanta this year. A marketer by trade, Murray has a long history of hosting successful events that promote products and brands. He began working with his parents who owned an African art company and coordinating art shows through his events business. From there, he began representing artists before serendipitously finding his way into the publishing world after a friend asked him to publish her book. His company 220 Publishing works with first-time to experienced writers from all walks of life and has published more than 50 titles that are available globally. Falling back on his experience with events and his admiration for great wine, Wine Crawl was a great addition to his portfolio that focuses on connecting consumers with brands. The success of his one-time crawl was the impetus behind the growth and expansion of the tours that now take place in the spring, summer, and fall. At the end of 2015, he began hosting private crawls for special events with individuals and organizations such as the sorority Alpha Kappa Alpha. “We are offering the ability to tour three to four experiences in one day. I give you three to four great restaurants and it may take you a year to get to all the places we take you to in one crawl,” says Murray. Last year, Murray added Guilty Pleasures tours that include chocolate tastings, cigars, special classes and cocktail flights. With Atlanta on the calendar for September 30 and Napa in November, Murray is eyeing other cities to include Houston and D.C. He also has been requested to return home to Memphis to host a Wine Crawl there and is leaving all options on the table. His upcoming crawl in Chicago on June 24 is sold out but don’t worry, there are still tickets for his events on August 12 and 26. For information about upcoming crawls or to inquire about hosting a private wine crawl tour, visit www.wine-crawl.com or contact 866.533.9884. You can also follow and connect with Murray on Facebook and Twitter.